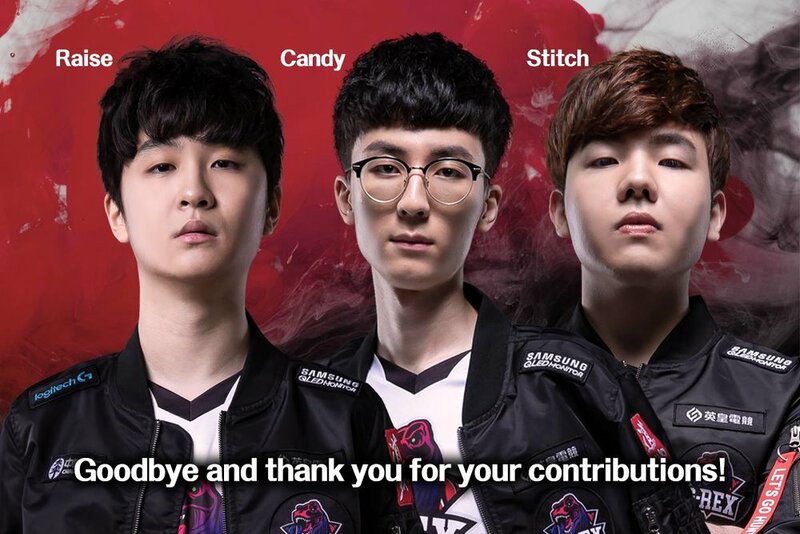 Thank you for the contributions by Raise, Candy and Stitch in the past year! They are currently free agents and available for new opportunities. Wish they all the best in the future! 1년동안 Raise, Candy, Stitch선수와 함께 할 수 있었음을 감사드립니다. 지금 이 세 분은 FA가 되었고 세로운 기회를 만날 수 있습니다. 세 선수의 미래의 좋은 일만 가득하길 바랍니다.